SYDNEY (CelebrityAccess MediaWire) — Unpaid artists and event production crew have succeeded in a bid to replace the liquidator assigned to administrate the resolution of a failed 3-day music and arts festival. According to the Sydney Morning Herald, the insolvency firm Jirsch Sutherland, who had been retained to liquidate the festival Ivor Worrell and Christopher Darin from forensic accounting firm Worrells. In addition, Peats Ridge creditors also had Jirsch Sutherland partner Andrew Spring removed from a creditors meeting where he had been acting as a chairman. It was revealed during the meeting that Mr. Spring had previously overseen the liquidation of Peats Ridge creative director Matt Grant's companies since 2011, which would be a potential conflict of interest. 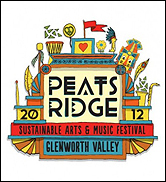 Grant voluntarily placed Peats Ridge into liquidation on 18th January, reporting debts of $1.27 million with assets under $140,000 of which the liquidation firm would claim $80,000.